Walking like an Egyptian…in Turin? Of course! If you are there, besides the Mole Antonelliana, that is the gorgeous site for the “Museo del Cinema” in the Piemonte’s main city, you should go and visit what has been today considered one of the main Egypt museums around the world, that is in Cairo and in London: the Egypt Museum. Turin’s one is peculiar. You will find here both artistic objects and daily materials and tools. Since the 18th century, the Savoy had collected Egypt antiques. Later on, Vitaliano Donati, which had been sent in Egypt by Carlo Emanuele III, put together an impressive collection of statues and other objects. In 1824, Carlo Felice bought the entire collection of Bernardo Drovetti, consul of France in Egypt; thus the first Egypt museum in the world has been built up! Ernesto Schiaparelli and Giulio Farina were two important directors for the museum: the latter led also excavating campaigns from 1903 until 1920, and again during the Fascism’s era, from 1930 until 1937. In the ground floor you will be astonished by the exhibition of two sphinxes with the face of Amehotep II and Ramses II in black basanite! 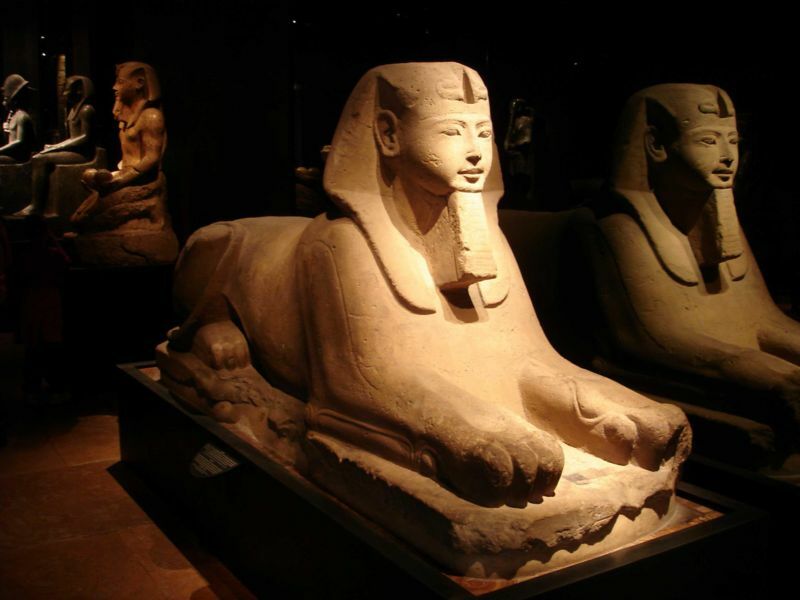 The statue section includes also great stone sarcophaguses, Sethi II, the princess Redi, the group of the king Tutankhamon III and of the god Amenca, the statue of Thutmose III. A wonder also the rocky little temple of Ellesija (c. 1450 b.C.). In the underground floor of the Schiaparelli wing you will find the excavating finds, coming from Gebelein and Qau-el-Kabir. Great impact will have on you also the handmade articles from the Palaeolithic age to the Coptic one. Unbelievable the mistery coming from the unknown tomb (2400 b.C. ), which was found intact in Gebelein; in the fourth room you have to see the famous Isiac table. Among the great collection of papyrus, we bring to your attention the “Ostrakon” of the dancer. From funerary stones and tombstones to mummies, surrounded by canopy, intriguing amulets and the “Deads’ Books”: the Turin’s Egypt Museum will satisfy each kind of taste for knowledge of Egyptian world! This entry was posted on Thursday, April 7th, 2011 at 5:55 pm	and is filed under Discover Italy. You can follow any responses to this entry through the RSS 2.0 feed. You can leave a response, or trackback from your own site.